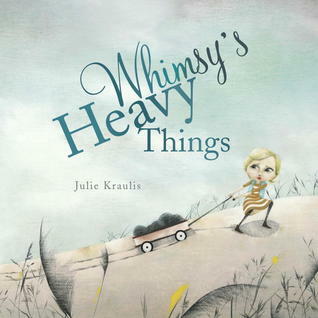 Whimsy’s Heavy Things by Julie Kraulis. This is a thoughtful, contemplative and beautiful picture book from a Canadian writer/illustrator that addresses issues of anxiety and worry in a gentle and engaging way. This is one that adults and children alike can definitely read and share together. 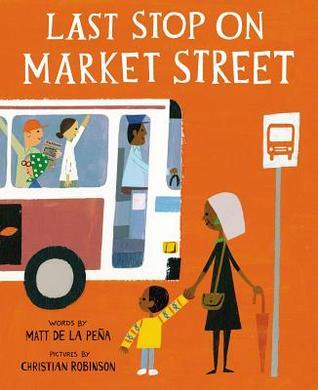 Last Stop on Market Street by Matt de la Pena, illus. Christian Robinson. I had read rave reviews of this title and so proceeded to read with caution, but guess what? It is pretty special indeed! Last Stop on Market Street really delivers with Robinson’s amazing artwork and de la Pena’s poignant story. 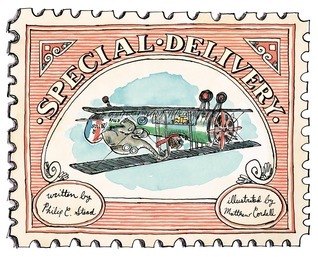 Special Delivery by Philip C. Stead, illus. Matthew Cordell. I must admit to being a MAJOR fan of both Stead’s and Cordell’s work, so I was really looking forward to their collaboration. And I am happy to say it did not fail to delight in its irreverence, gentle charm and sly humour. Get ready to chant CHUGGA CHUGGA CHUGGA BEANS BEANS BEANS! Pool by JiHiyeon Lee. 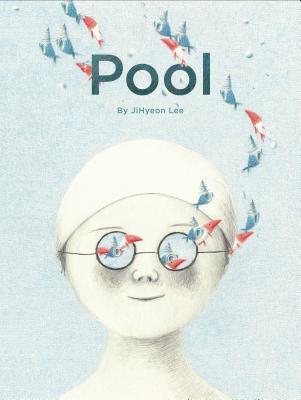 A beautiful and innovative wordless picture book that takes one boy’s lonely time at the pool to a new level of wonder and discovery. 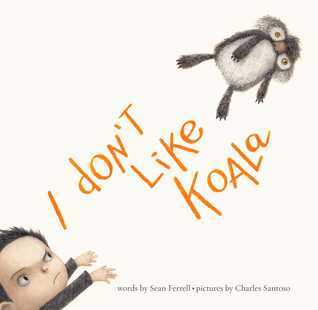 I Don’t Like Koala by Sean Ferrell, illus. Charles Santoso. If you’re looking for a slightly unnerving yet funny picture book read then I would recommend this one! A young boy tries desperately to get kid of a particularly wide-eyed koala bear toy who doesn’t want to disappear. Get ready to be slightly creeped out by a seemingly innocuous koala.